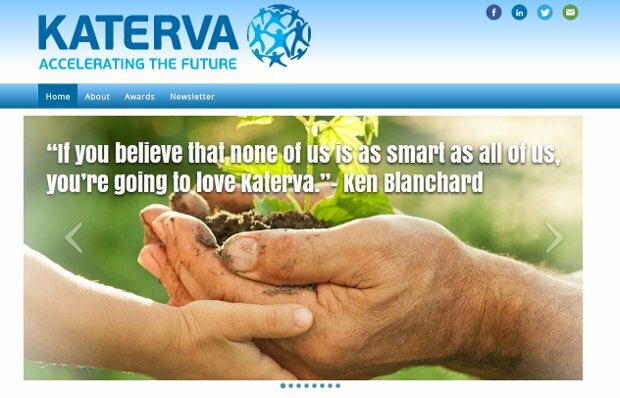 The Katerva Network is it’s greatest asset : with over 1200+ sustainability and innovation experts, professionals, investors, scientists, policy makers, and community and student activists, the Katerva Network is a global community of change creators focused on breakthrough innovation. Inaugurated in 2011, the Katerva Awards exemplify the scale of Katerva’s Global Action Network. Through their Global Action Network, members the world over identify the most promising innovations on the planet in 10 categories. Each year over 400 experts in specific subject areas carry out the rigorous adjudication process lead by their Chief Research Officer. They evaluate the Katerva 150 based upon the Validation, Scalability, Policy implications and overall Impact of each innovation. Katerva Winners create new paradigms, and slip out from under the old rules. Each year they honor their radical innovation and support them in becoming a powerful force for change. Finally, the Katerva Solutions is an interactive engagement that brings the networks, processes, and tools of Katerva’s Awards program to address our global challenges in a collaborative and focused manner. They activate subject matter experts, thought leaders, innovators, and the ‘crowd’ to identify, refine, support, and launch actionable solutions to real issues. By engaging pilot areas ahead of identifying and evaluating the best innovations for the issue, they assure strong commitment to implementation.